Discussion in 'Price Drops, Must-Have Freebies, and Deals' started by Card, Nov 21, 2014. 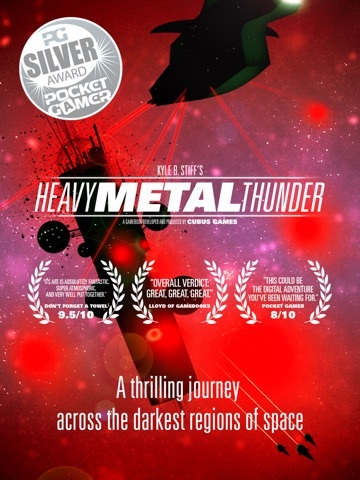 *** Pocket Gamer SILVER AWARD *** A thrilling journey across the darkest regions of space. "This could be the digital adventure you've been waiting for." -- Pocket Gamer (Silver Award) "Gruesome charm and adrenaline infusing action" -- PocketMeta "Its art is absolutely fantastic. Super atmospheric, and very well put together. I love the audio." - Don't forget a towel (9.25/10) "High replay value with its divergent narratives." -- App Advice "Overall verdict: great, great, great." -- Lloyd of Gamebooks The smash-hit gamebook from acclaimed science fiction writer Kyle B. 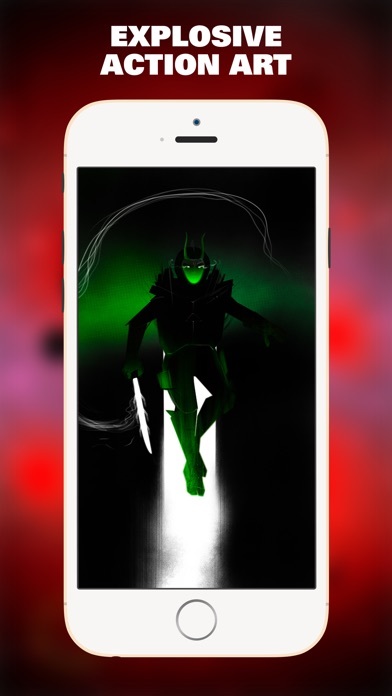 Stiff becomes an epic adventure on iPhone and iPad. 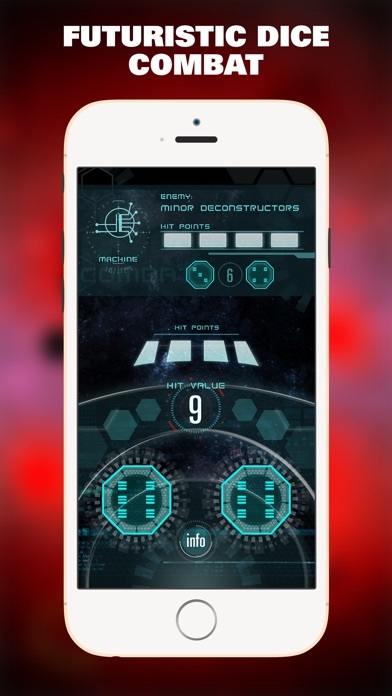 Set out on a thrilling journey across the darkest regions of space to save the remnants of humanity from invading aliens in a grand saga that puts you in control of the story. 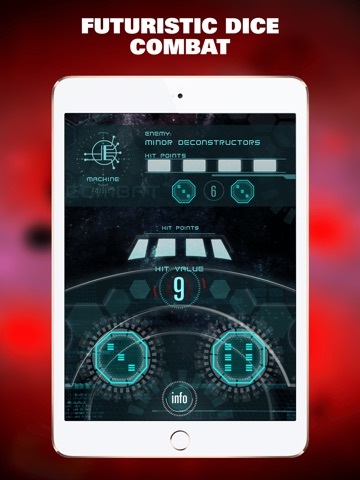 A POWERFUL STORY THAT YOU CONTROL While cut off from your unit, you discover your allies are being tracked down by the alien invaders that have overrun our solar system. Only you can save them. On your journey you’ll meet the worst that the galaxy has to offer, and it will be up to you to choose how to deal with them. Do you help out those who have given up the fight? Or do you take shortcuts and gun down anyone in your way? As you learn how to fight the invaders you’ll gain new skills, but limited resources will make it impossible to save everyone. 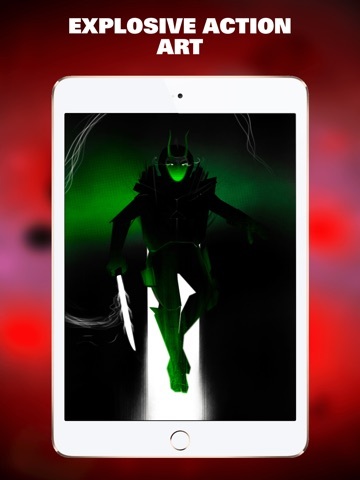 The first part of Kyle B. Stiff’s legendary adventure gamebook series has been brought to life as never before by developer Cubus Games in this official Heavy Metal Thunder game for iOS. Get read for the ride of your life as you become the hero of your very own story. FEATURES: * A new evolution in the adventure gamebook genre * A powerful, yet accessible sci-fi plot, packed with diverse characters * Rich, branching narrative that offers huge replay value * Brand new artwork from renowned illustrator Marc Gonzalez * Full soundtrack with sound effects and a vibrant atmosphere * The first part of an epic series Get ready to bring on the thunder. ** WARNING ** Undesired performance may occur on iPad1 (or early iPod generations) due to memory issues ABOUT US www.cubusgames.com https://twitter.com/CubusGames https://twitter.com/HeavyMetlThundr https://www.facebook.com/cubusgames SUPPORT Having any problems? Any suggestions? We would love to hear from you! You can reach us at hello@cubusgames.com MORE REVIEWS -- Users ---------- “Easily the most engrossing book I've read in years. 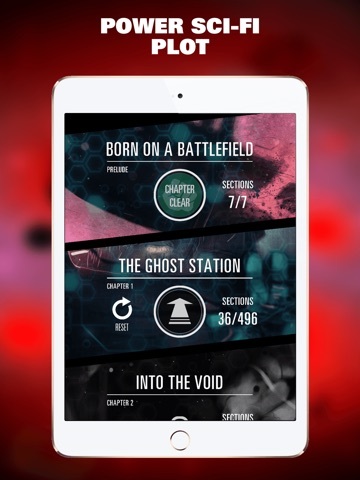 It's a near perfect throwback to the old books where you are the hero.” “This gamebook is absolutely brilliant. The scifi setting is highly detailed and well thought out.” “Heavy Metal Thunder is, by far, the greatest book I have ever read.” “...it's a long, extremely well-written story with tons of choices. 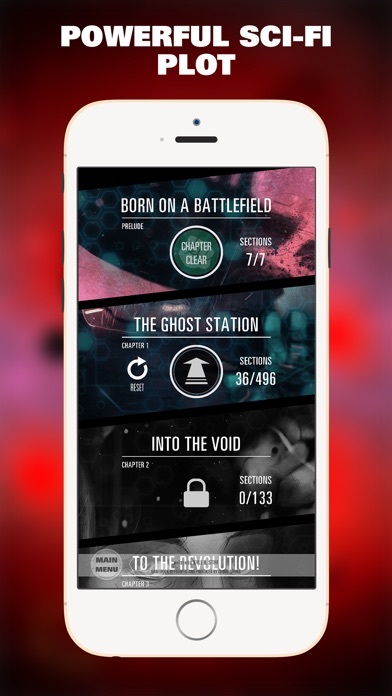 Very re-playable.” -- Pocket Gamer (Silver Award) ------------------------------------ "The kind of deathly sci-fi that you’ll enjoy if you liked Dead Space or the frightening moments of desperation in Gravity." 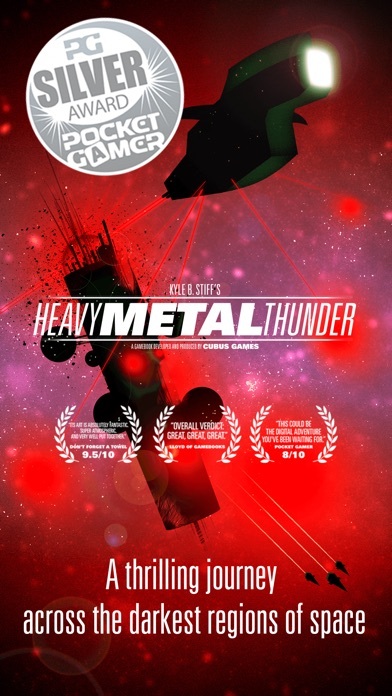 "Heavy Metal Thunder is a cruel and unforgiving gamebook. It bashes you against the debris of space over and over, and is happy to leave you at the mercy of all manner of terrors." "The whole thing is presented brilliantly. 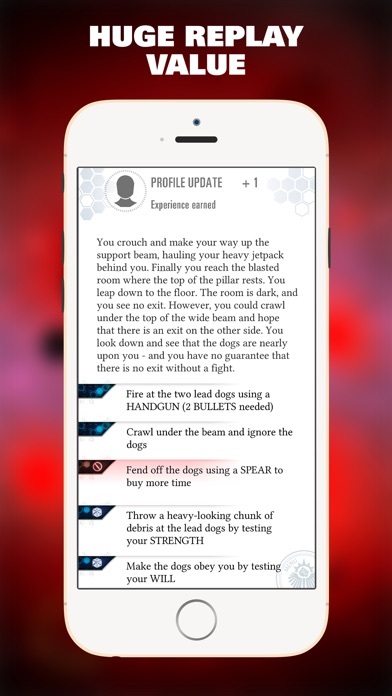 The skill check and fighting interface in particular makes tapping the screen to stop some dice feel surprisingly futuristic." "It's refreshingly grim, and manages to keep you entertained throughout its hefty running time." "Fans of the genre thirsting for something a little darker should definitely give it a look." 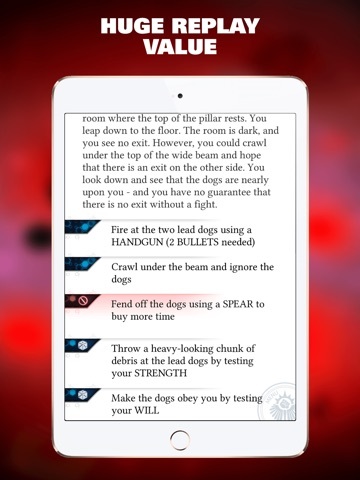 -- Pocket Tactics -------------------- "A big sweeping pulp sci-fi story of impossible odds and encroaching insanity." "I had a lot of fun with Heavy Metal Thunder, and look forward to future installments." Definitely worth picking up for those who don't have it. I would add that even if you're not a fan of game book mechanics, the story is unique and definetly worth the pickup on that merit alone. I really realy enjoyed this. If you like storybooks or even just reading science fiction at all, give this a shot, it was great. Quite short, and not as much replayability as you'd think, but it's pretty amazing none the less. And as its free it'd be rude not to.